Back in Stock ! 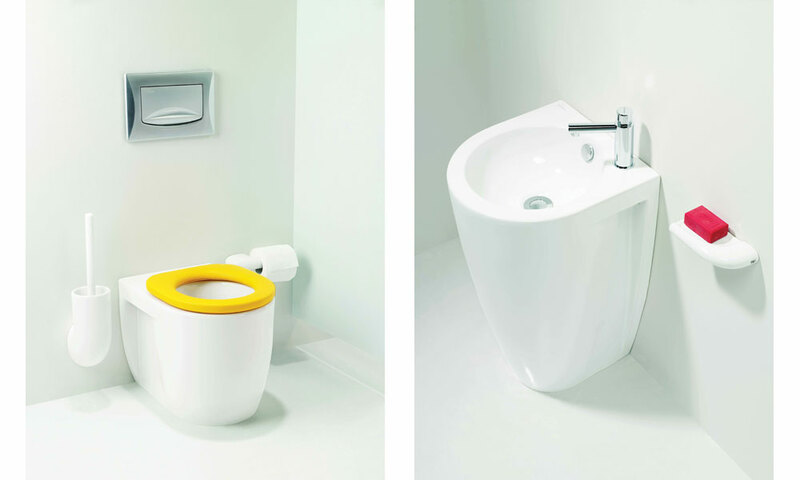 Healey & Lord are pleased to have the original Junior 1 sanitary ware back in stock. 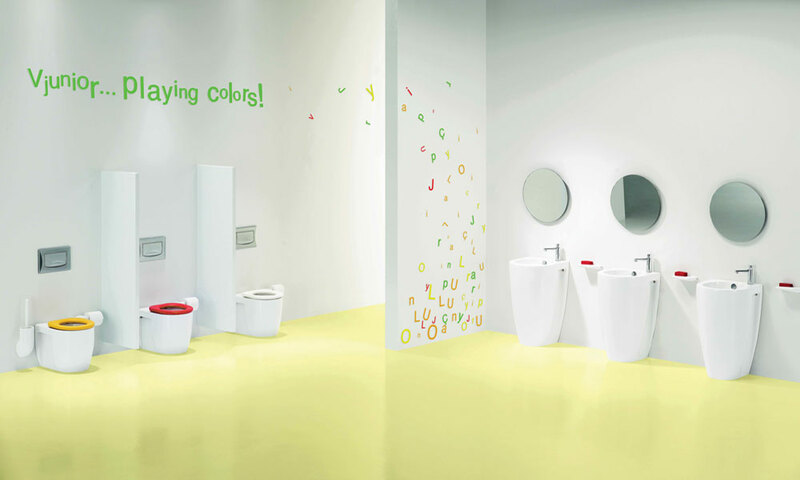 This is our best selling Junior sanitary ware range for ages up to 5 years old with 295mm high toilets. 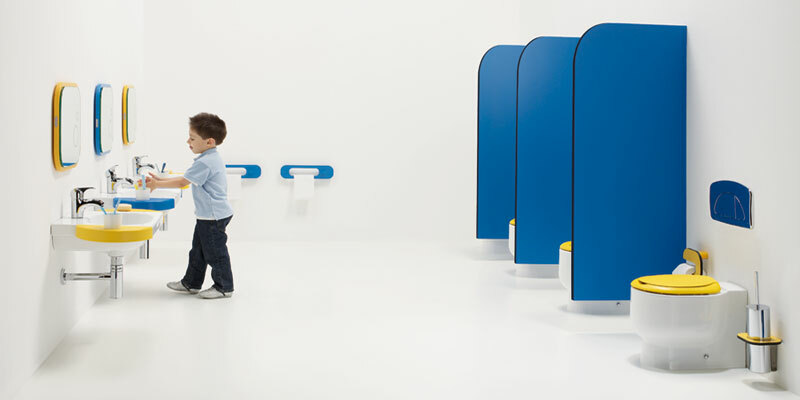 WC's can be equipped with concealed cisterns that either have easy-flush push buttons, easy-flush dual flush chrome & matt fascia panel or no-touch sensor options (the sanitary ware can be used with any European Standard concealed cistern so you can select your own if wanted). 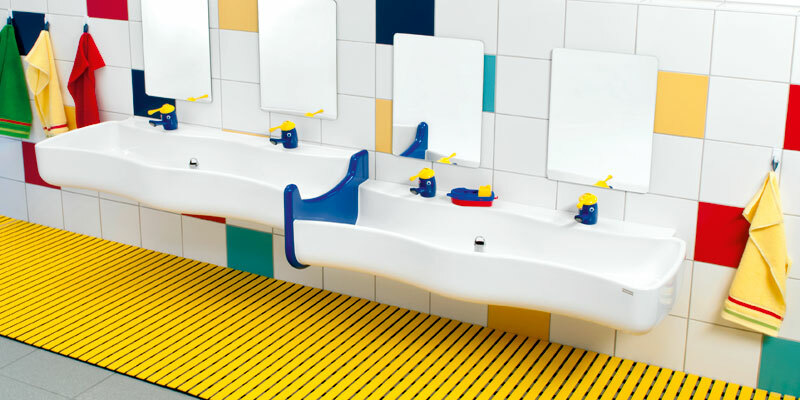 The 610mm high floor standing basin comes from an original designer range that has been miniaturised for children adding a chic & cool look to any playschool or kindergarten; we can supply a range of easy push non-concussive taps or infrared taps (so they don't get left on!) to suit the basins. Back in stock we can now deliver the Junior 1 range in 2 to 3 working days to any UK mainland destination.